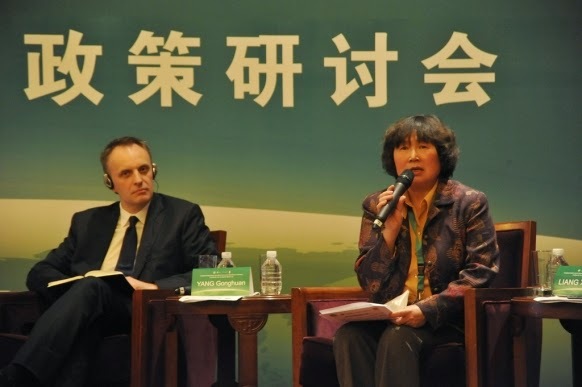 The Chinese media is reporting that The Lancet editor Dr Richard Horton has praised China's health reforms and urged them to go further, during a meeting he had with health minister, Li Bin. According to China Daily, Dr Horton met with Li Bin in Beijing on 26 June and had an interview with her. Li Bin is said to have explained China's unique health situation to Dr Horton, including how the country has a large population and many differences between regions. She said China's health system was in transition, and the work of health and family planning services faced huge challenges. She described China's healthcare reform as a long-term systematic project that faced many difficulties. Reforms should adopt the lessons from the experiences of foreign countries but adapt them for China's unique circumstances and select methods that are suitable for China, Li Bin said. She added that public hospital reform must be based on a high level plan and start with pilot schemes before being gradually adopted nationally. According to Chinese language reports, Richard Horton praised China's reforms of public hospitals and said China's progress in health reforms was acknowledged around the world. He is quoted as urging China to strengthen cost-benefit analyses for pharmaceuticals and medical procedures, adopt pay-for-performance funding mechanisms, attach importance to community-based non-communicable chronic disease programs and enlist healthcare staff to support and implement reforms. Richard Horton is said to have committed The Lancet to focus on China's health system reforms and to work in closer cooperation with China's medical organisations. Editor's note: Lost in translation, perhaps, but compared to the dry English language article in China Daily, the Chinese-language reports of this meeting put much more emphasis on The Lancet editor's support for China's health reforms.